“A hydropower plant is essentially a two-step process. First, you divert the water into a pipe. In the pipe you generate head. The head is what drives the turbine. If it’s just in the river, you’re not creating enough pressure in order to drive the turbine," explains Charlie Vincent. 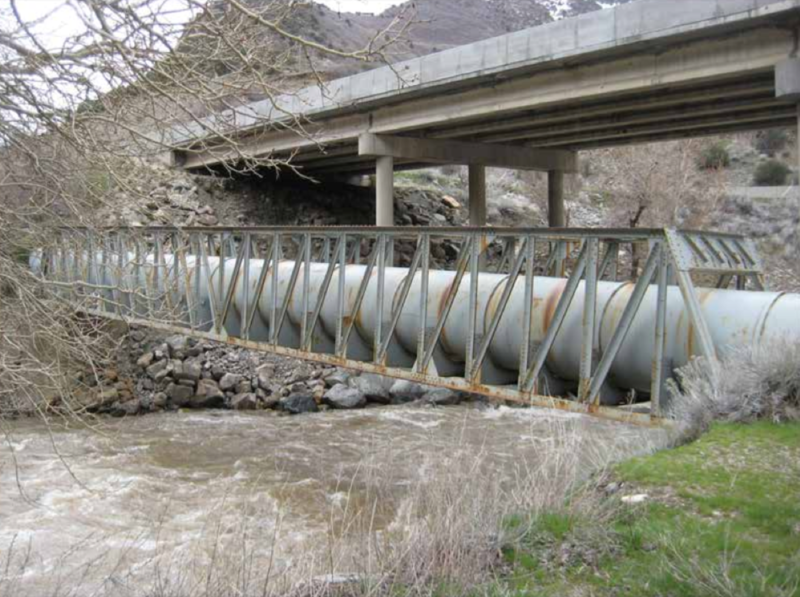 Between the diversion dam and the power plant, most of the Weber River is in a pipeline, leaving the section of rapids known as "Scrambled Eggs" high and dry for kayakers. Vincent is an engineer, but that’s not why he’s here. He’s here because he’s a boater -- a kayaker specifically and a volunteer with American Whitewater, a nonprofit organization that protects rivers for a variety of reasons -- one of which is recreation. We're standing a few hundred feet upstream from a famous kayaking spot called "Scrambled Eggs." American Whitewater works to provide something called recreational releases on dammed rivers like the Weber. A recreational release means that the dam doesn’t siphon off the river to make power. The water is released from the gates and flows back into the river in its natural channel. Every 30 years or so, privately owned hydropower projects -- like the one Pacificorp operates on the Weber -- have to reapply for their operating license from the Federal Energy Regulatory Commission. This relicensing process is a window of opportunity for groups like American Whitewater to come to the table as stakeholders in the river. Charlie Vincent was instrumental in restoring recreational flows to the Bear River through Southeastern Idaho. Representing American Whitewater, he participated in a relicensing process that took over a decade. In 2008, the new license for the dam at Grace, Idaho, called for 16 recreational releases annually. Vincent has a kid now and doesn’t kayak as much as he used to through these temporarily inundated sections of river he’s worked on. But he’s still at it when it comes to advocating for good boating as well as protection for native fish like the Bonneville cutthroat trout. He's been looking forward to relicensing process on the Weber for a decade. The license expires in 2020, so the process starts now for Charlie Vincent. That’s why we’re here today, staring at the boulders in the low flowing river. Vincent has no trouble imaging the whitewater that could be flowing through here. He can describe every move he would make in his kayak to pick his way through the rocks and currents of this exhilarating stretch of the Weber River.